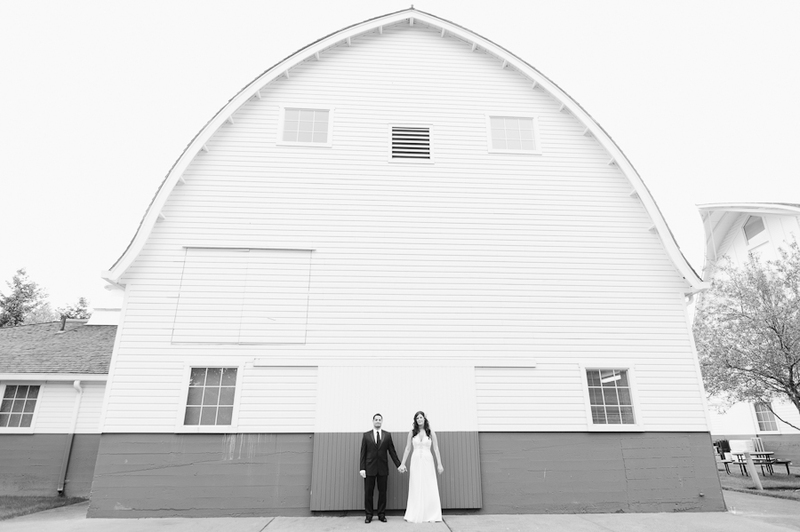 Amanda & Daniel’s wedding was a day full of inspiration! Seeing the groom’s joyful 90+ year old grandmother seated in her chair in the middle of the dancefloor so she could boogie with her grandchildren left us grinning from ear-to-ear. Learning that most of the groomsmen served with Dan in Iraq, who as their squad leader made sure they all returned home safely, had us clapping as loud as anybody during the toast when everybody rose to their feet to honor their service. We started the day with them in downtown Seattle for photos around the Olympic Sculpture Park, then headed to Woodinville for their ceremony & reception in the barn-turned-loft above Russell’s restaurant.